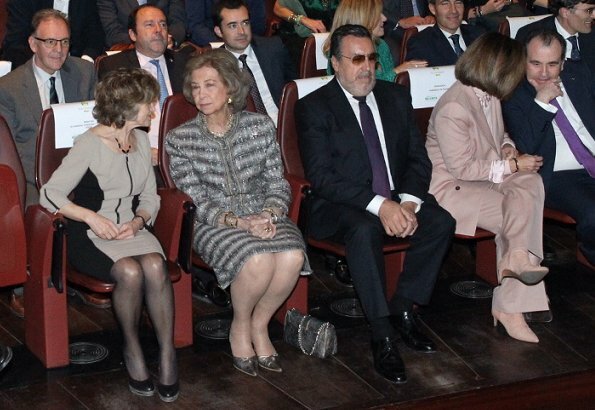 On November 27, 2018, Emeritus Queen Sofia of Spain attended the award ceremony of The ONCE Foundation Awards, held at The Queen Sofía Museum in Madrid. 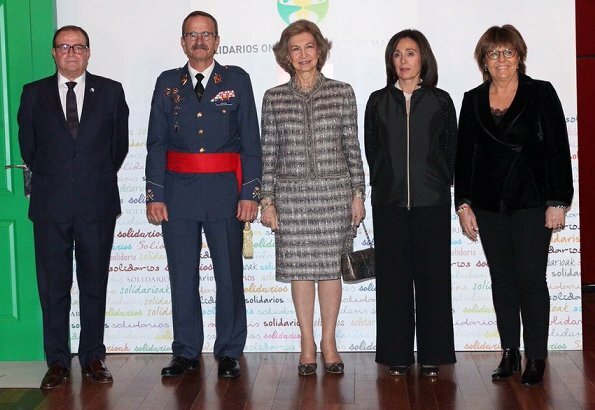 “2018 Solidarity Special Award” was given to Queen Sofia. 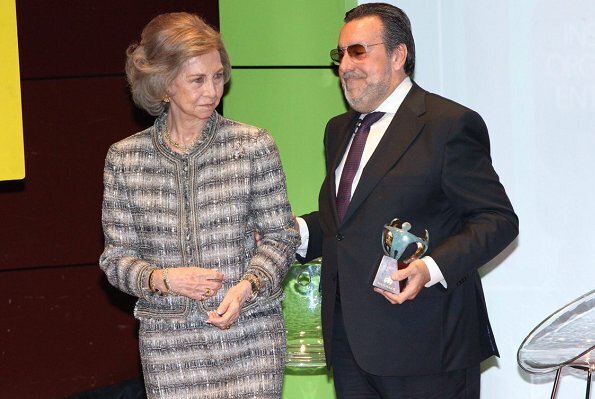 Queen Sofia received the award from President of Social Group of ONCE, Miguel Carballeda. 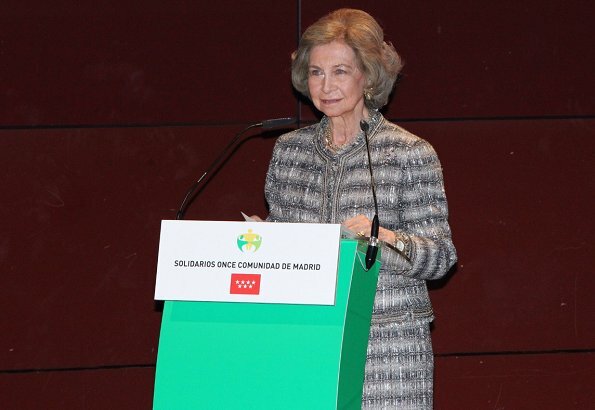 Then, Queen Sofia gave a speech. Organización Nacional de Ciegos Españoles (ONCE) (National Organization of Spanish blind people) is a Spanish foundation and was established on December 13, 1938. The foundation aims to raise funds to provide services for the blind and people with serious visual impairment. Lovely appearance of the Queen to accept an award. 'A great professional', 'who has done so much for Spain', 'knows how to be', and 'fulfills her role impeccably'. heel veel verwondering voor de prinses , heel veel mee gemaakt!!!! en nog, want de schoondochter lijkt ook geen aardige dame!! Que gran gran REINA ES SOFIA, excelente representante de España, fina, impecable, sobria, con ese "saber estar"
What is there to say, stunning as alway's.